A step in a new direction for Undead Labs. State of Decay 2 promises interesting changes to the already established franchise. Since the reveal of State of Decay 2 at Microsoft’s Conference at E3 this year, nothing much has been revealed about the game other that a vague release date of 2017. We also know that it will be an Xbox One and Windows 10 exclusive. Luckily State of Decay 2 is a “Xbox Play Anywhere” title, which means that you would be able to play across both platforms from a single purchase. This new scheme typically means that your achievements and progress will be synced across both platforms. It looks and feels sort of like a video game version of The Walking Dead. Undead Labs’ sequel to the critically acclaimed zombie survival game won’t be an MMO. With the #1 request from fans being co-op multiplayer as stated by Undead Labs founder Jeff Strain, it seems Undead Labs wants to give fans just that. According to Strain, State of Decay 2 will feature a drop-in/drop-out experience opposed to a session based multiplayer experience. This means that you can join your friends in an adventure whenever you want, and leave if you feel like it. 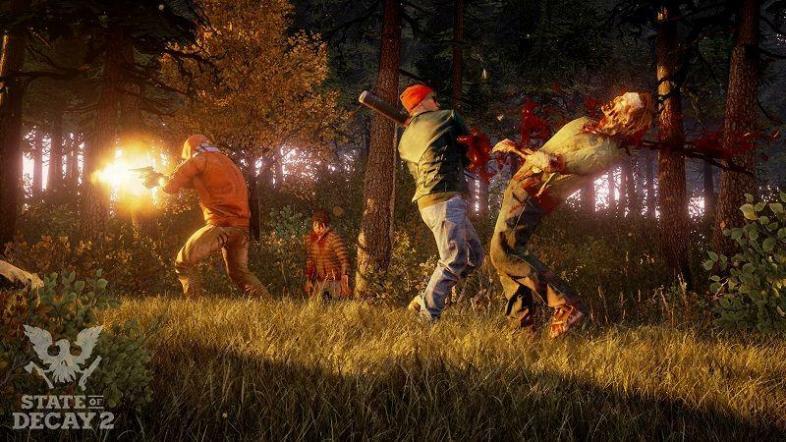 He also stated that State of Decay 2 is designed to provide the most convenient and easiest multiplayer experience to date. No two stories will be alike in State of Decay 2. There are no single protagonists, instead, every individual player has a role to play to ensure the community’s survival. Every single decision you make individually and collectively will shape this dynamic open-world.You can invite friends into your game or you drop into theirs. Each player brings into the game their own person with background traits and unique skills and every one of them is in charge of their own community of players. For more Info on State of Decay 2, visit their Official Site. Emerging from the southern tip of Asia, Yamin is fanatically committed to bringing everyone tales from the countless sureal lands he has traveled and the virtual lives he has lived.